When following a high protein diet, Easy Body bars, with a delicious thin chocolate coat, are an amazing snack for anyone paying close attention to their weight. Each bar contains over 10 g of high biological value whey protein. Easy to take along with you, Easy Body bars are a fantastic snack to reduce your appetite and to combine with training. INGREDIENTS: milk protein, milk chocolate 14,9% (sugar, cocoa butter, whole milk powder, cocoa mass, sweet whey powder, emulsi­er E322 (soya), vanilla extract), glucose syrup, fructose syrup, syrup of fructo-oligosaccharides, coconut oil, ‑avour, bulkingagent E460i, emulsi­er E322 (soya), vanilla bean powder 0,02%, antioxidant E307a. ALLERGEN INFORMATION : Contains milk, soya. May contain traces of hen's egg protein and nuts. 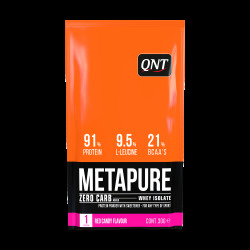 USE: 1 bar before during or after training, or as a snack between meals.